Urban Canine Doggy Day Spa is a unique grooming facility and self-wash salon for dogs. Our spa is cute, creative, and clean. Our groomers have over 50 years combined experience and can accommodate any and all breed standard cuts and variations of cuts and styles. 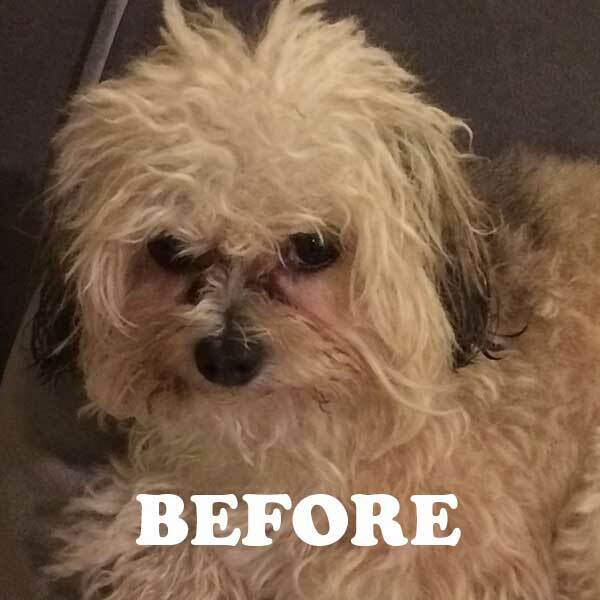 If your pet does not require a haircut, we offer professional grade shampoo, brushing, de shed and blow-dry of ANY dog, for a substantial improvement in shine, smell and feel. Our anti-shed treatment works wonders on any heavy shedding dog. Our shampoo is professional grade, wonderful smelling and tearless. We have other shampoo options as well, such as hypoallergenic oatmeal, brightening, moisturizing, and also medicated formulas. We have a shampoo for just about any dog, and there is no added charge for any of our shampoo choices. For the do-it-yourselfer that wants a clean dog but not the mess associated with bathing your dog at home, we have the perfect solution. Use our do it yourself facility…and you have permission to leave the mess behind! We have several professional grade shampoos and conditioners to choose from, and we also supply fluffy towels, brushes, professional grade dryers, and everything needed to give your dog that pro-groomed appearance. Save your home from the mess and save a few bucks while you’re at it! Self wash services still holding strong at $15! 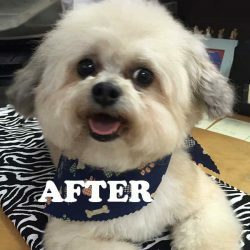 In addition to dog-grooming and washing, we offer walk-in paw-dicures (nail trims) and a very reasonably priced pick up and drop off service. We also sell a variety of unique pet products, from sweaters and coats, to leashes, toys and treats. Feel free to call 773-278-6888 or email us at info@urbancanine.com to learn more about our services.